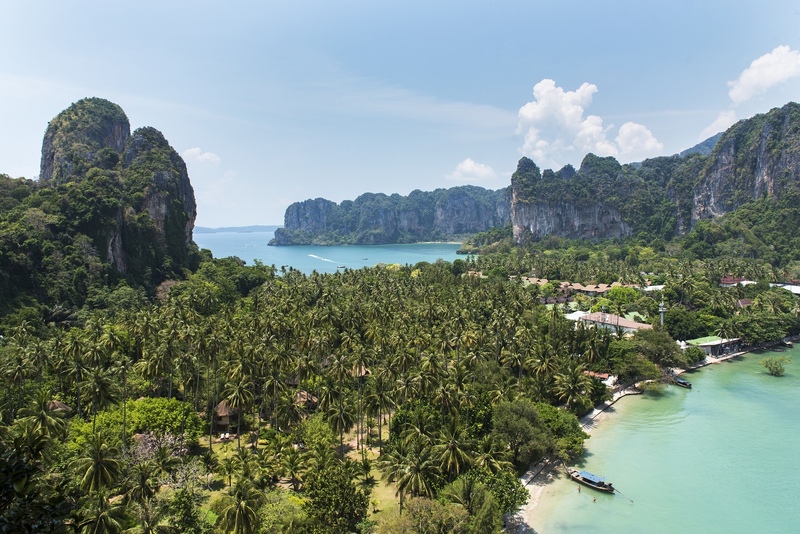 There are a number of things to know about Thailand before you visit. Some of these things you may know, some you may not. Thailand is an interesting country. It is large and diverse with a vibrant people and a burgeoning expat population. Thailand is a cheap place to live and visit. Below is a list of 20 things to know about Thailand. Some of which are not always clear before you go. 1. What is a Ferang? Well if you are of any European decent, that’s probably you. You are the Ferang, it is not a bad thing it’s just what you are called. Even as an expat your Thai friends could still call you Ferang in conversation. Don’t be offended by this at all. Also you should probably know that since you are an outsider anything that goes wrong could be your fault. If a local bumps your scooter, its your fault even if it isn’t. Due to you being a foreigner and if you had not been in the country your scooter would not have been where it was when the local bumped into it. Buddhist thinking I guess, but i can appreciate the logic. 2. Do I need a visa to visit Thailand? If you are in Bangkok unless you love crazy traffic, don’t rent a car. 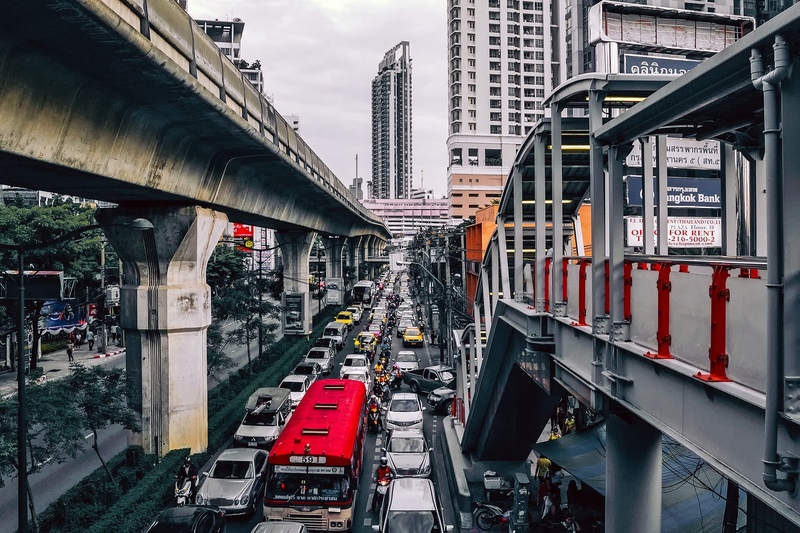 We suggest that you find accommodation in the central area of Bangkok, you will have the Subway and Elevated rail systems to use, they are cheap, clean, air-conditioned, and efficient a 1 day pass is a good idea if you plan on getting around town. The 1 day pass will cost you 140 Baht, or less than $4.50, €3.60 or £3.20. There are some rules, no food or drinks on the trains, No Durian, in case you don’t know what Durian is, it’s a big smelly fruit that some say taste terrible and smells like something dead, others love it, go figure. Generally if you want to get around Bangkok and are away from the MRT or BTS coverage areas. Or if you are not in Bangkok the most popular ways of getting around in the towns and cities of Thailand is to use a Taxi or Tuk Tuk. A Tuk Tuk is great during the day, being smaller they do get through traffic a little easier, and you get a better view of the buzz around you. Negotiate with a Tuk Tuk driver. I promise you are not getting the best price on the first try. When it comes to Taxis they are air-conditioned, so that’s nice. However you are going to get stuck in traffic, insist in the driver using the meter, some will, some won’t. Even if you are being given a special offer for the best price. Get him to use the meter, it will probably be cheaper. Use Uber and Grab Taxi apps on your phone too. A short trip in a Tuk Tuk could cost you 150 Baht or about the same as the 1 day pass on the BTS. Taxis may be cheaper, but not always depending on distance travelled. Busses are also an option, although really cheap. they are big and take a while to get around in traffic, they are also not air-conditioned, unless of course you are using the tour busses that run between cities. These busses are air-conditioned and have TV as well as massage seats. Most of these busses do an over night trip. You get transport and “accommodation” in your cost of your ticket. 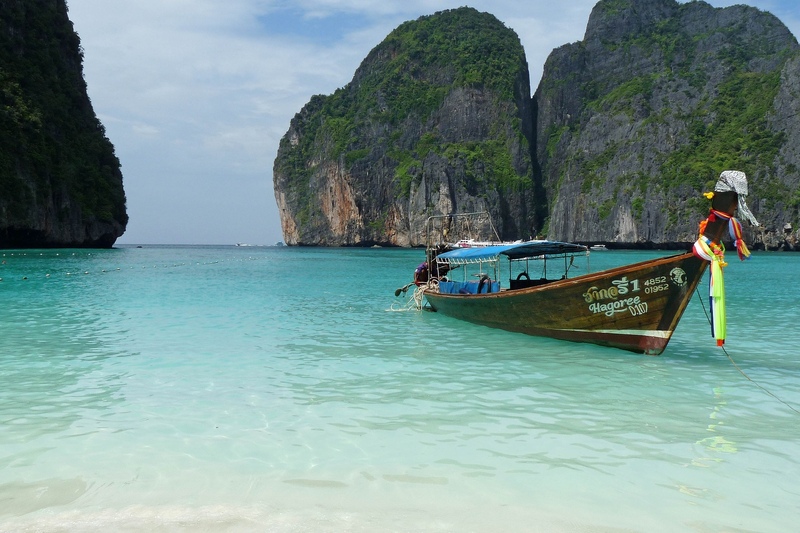 A trip from Bangkok to Phuket is around 1200 Baht, less than $40. Then you have motorbike taxis, well that’s fun. Cheap, Fast, Scary you should do it. Basically you climb on the back of a persons bike and they get you across town as fast as they can. Hold on tight. Thai people are friendly. Thailand is not known as the Land of Smiles for nothing. As a Buddhist country many of the Thai’s you meet will be Buddhist or at least would have a Buddhist upbringing. Don’t shout at a Thai, first of all its exceptionally rude, and it will make you look bad not them. Do not touch a Thai on their head, not even patting a kid on their head as you might do in your own country. Don’t wear shoes in a Thai house, take them off outside before entering the house. A handshake is not that common. If you greet someone, place your palms together and bow your head slightly, this is called a Wai. If you keep one thing in mind when interacting with Thai’s. Their belief system is core to who they are. The closer to the floor a body part is the dirtier it is. Therefore do not touch someone with your foot. The head is the most sacred. That is why you don’t touch it. Monks are always held in high regard. Do not touch a Monk. Monks often have their own seating area in stations and airports. The Thai royal family is deeply respected. Thailand is filled with temples, many of them are hundreds of years old. Go see some of them. There are a few things to remember. Do not wear shorts or sleeveless shirts. Male or female, wear long pants or a long dress, wear a shirt that covers your shoulders. Take your shoes off before entering a temple. Be mindful of the people in the temple. Remember that thing about feet, keep that in mind at a temple. Ok it’s not just Tuk Tuks, but it is not uncommon for a Tuk Tuk driver to approach you and tell you that the temple is not open today for some or other reason. They will of course offer you a “good deal” to take you on a tour of other temples. Politely say no thank you, maybe tell them you are not going to the temple and just keep on walking towards the main entrance. Don’t fall for the VIP Tickets that are sold outside of some Muay Thai arena’s. There are other scams that some Ferangs fall for. Cheap Tailors and gold scams. Research these scams. We have found that Agoda.com is one of the best online accommodation sites to find accommodation in South East Asia. Have a look at the link. Even if you are on a budget consider staying in a 4 or 5 start resort, even if it is just for a couple of days. It will probably be a lot cheaper than you think. Look at smaller boutique hotels. No matter what your budget is there are many places to choose from. Do not just stay in one place, I would advise against package holidays. Explore. Do your own thing. You don’t want to have every minute of your holiday planned. Lets face it, you are going to a foreign country, don’t just eat western food. If you have taken the time and money to travel half way around the world, trying to experience it as if you where still at home would be doing yourself a disservice. The general rule is to not drink tap water in Thailand. I wouldn’t try to test that rule. Beer is relatively cheap and available in most stores, including 7-Eleven. Some of the local Brewers also produce bottled water. So if you are in a Restaurant and ask for a Chang, you may be asked if you want a Chang Beer. Ice is produces commercially from purified water. Also you can drink beer practically anywhere. Even in the back of a Tuk Tuk while driving through town. No beer in Temples of course, or government offices etc. Spirits like Vodka Rum etc are available of course. At Full Moon and Half Moon parties you can buy buckets of Vodka cocktails. Be Brave. You have to try the street food, it’s all over the place. Cheap and Tasty. There are a few golden rules here. Thailand is a hot country, compared to Europe its warm even in winter. Eat where the locals eat, if a food stand is busy and has constant local customers you are good to go. Locals will not eat poor food. If there are constant high volumes of people eating at a stand it also means that the food is going to be fresh and would not have sat around for too long. There are many western food options around too. Your mileage will vary and you may find it expensive. There are also many Indian, Chinese and other regional foods available. Many Thai’s can speak at least some english. So getting around and ordering food is not that challenging. However if you make use of the Agoda App, and other travel apps the often have the address details and possibly directions to your Hotel in Thai. This make it easy for your Taxi or Tuk Tuk driver. There are also some basic words that you can learn to help you get by. The locals will also appreciate it. One thing you will notice is that you don’t see knives and forks. Also you may not see chop sticks unless you are in Yaowarat Road or any other Chinese food establishment. So what do you do with the spoon and fork? You eat off of the spoon, the fork is there to get food onto your spoon. It’s not serious though. You will not be laughed at. But if you want to eat like a pro, eat off of the spoon. People have written entire blog posts on 7-Eleven in Thailand. Simply put you will see lots of them. They are everywhere, sometimes 2 or 3 within a few hundred meters of each other. You will find Beer, water, food, medicine, and almost anything else. There are probably generations of backpackers who have survived on 7-Eleven and street food alone. A favourite is the Ham and Cheese Toasted Sandwich. Once you are on the Islands, how do you get around to other islands? You could probably fly between some islands but you see less. You can make use of the longtail boats, and ferries. Generally they are quite cheap. 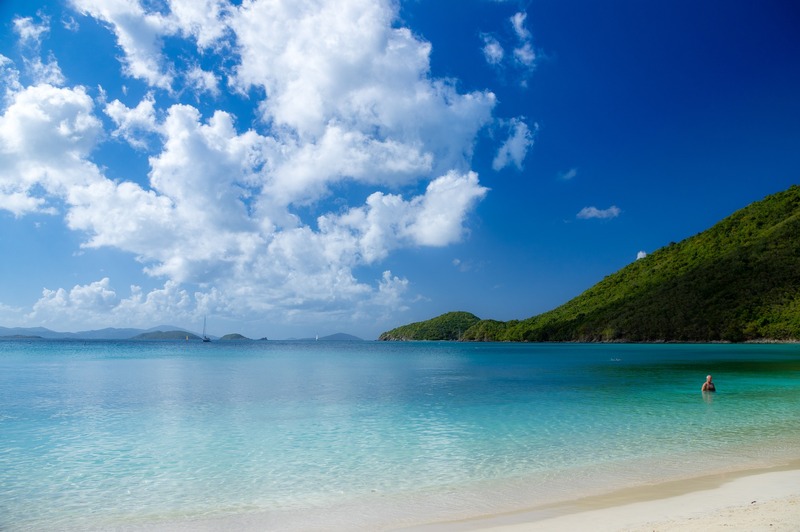 There is also a more expensive fast boat option, high-powered speed boats that get you between islands faster than the slower Ferry or Longtail options. 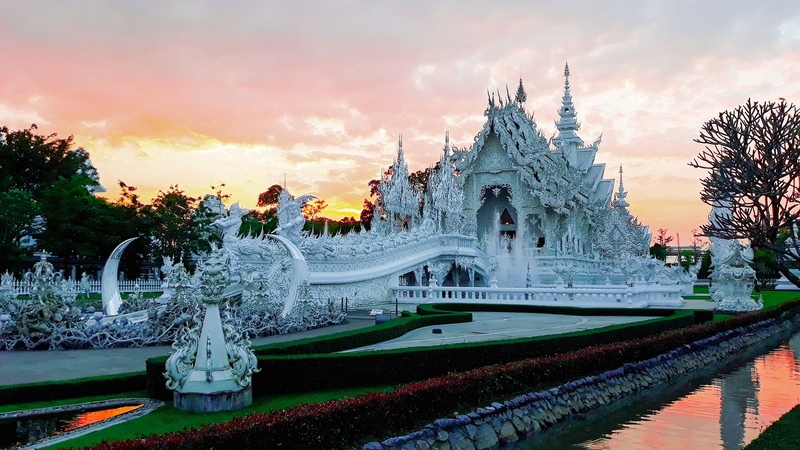 The most obvious place north of Bangkok is Chiang Mai, filled with expats and Digital Nomads. Chiang Mai is a beautiful old city. The Old City was built inside the city walls and moat. Some of this is still visible. There are plenty of coffee shops and restaurants here, check out the Markets. Check out the smaller towns and sites like waterfalls, if you have the time. Also check out Pai and Chiang Rai. Don’t miss the north. 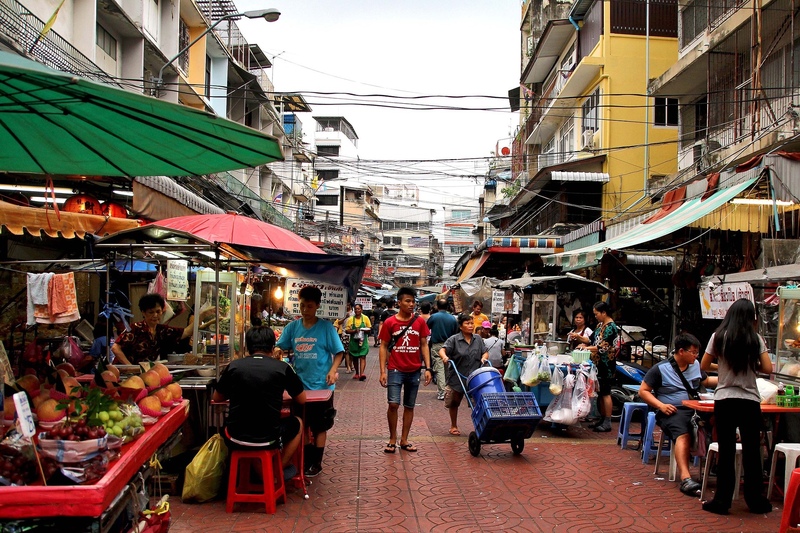 There are shopping options all over, from small local markets to the massive malls in Bangkok. However if you are a shop-a-holic you could spend days in Bangkok. From MBK, Siam Paragon, Central Embassy, Central World and Terminal 21 to just name a few. 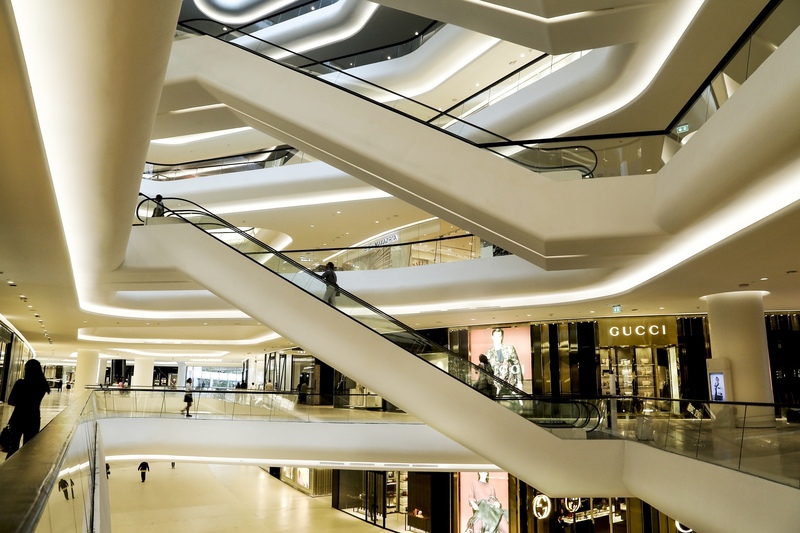 The malls range from cheap to luxury brands, original and a few knockoffs. Food halls a plenty. Seriously if shopping is your thing, or if you want to stock up and clothing before you leave, or when you arrive. Bangkok Shopping is probably going to be a little crazy but you should probably try at least one mall. There are many places to rent a scooter in the south of Thailand, Phuket, Phi Phi, Krabi etc. Firstly be careful. Most places don’t worry too much about if you can ride or not, or have a license. However if you do not have a valid bike license in your own country and a valid International Drivers License you could get into a lot of trouble if you are in an accident. 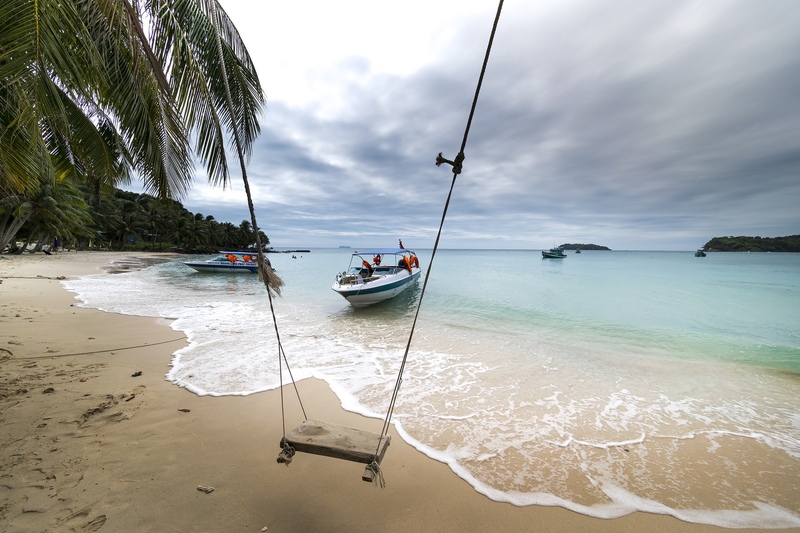 You may also run into problems with your travel insurance. You will see 3 people on a scooter with no helmets. Wear your helmet. The local Police will pull you over for not wearing a helmet, or not its hard to say. Thailand has some incredible tailors. Do some research first, chat to staff at the hotel you are staying at. If you would like a custom tailored dress or suit there are a number of reputable tailors to choose from. The work is done quickly and for a good price. I wouldn’t suggest asking a Tuk Tuk driver. There have been more than a few scams where they will take you on a long ride take you to a tailor that pays them a finder’s fee. However, rather than getting a good suit you get one that is poorly made, I have heard of seams being glued together. Finally the best advise I can give on visiting Thailand or any other country for that matter is do what the locals do, experience the country as much as possible as a local. Do not get a package deal where you spend 7 nights in an island resort and then but never leave the resort other than to go to a tourist trap surrounded by 50 of your own countrymen. Why fly for 10 hours to do that? Furthermore when you travel you will discover all sorts of things, not just about the country you are visiting, and possibly about your own country, and who you are, or want to be. Therefore traveling is as much about discovering a new place as it is about yourself. So go Explore the Gap. Get out there.